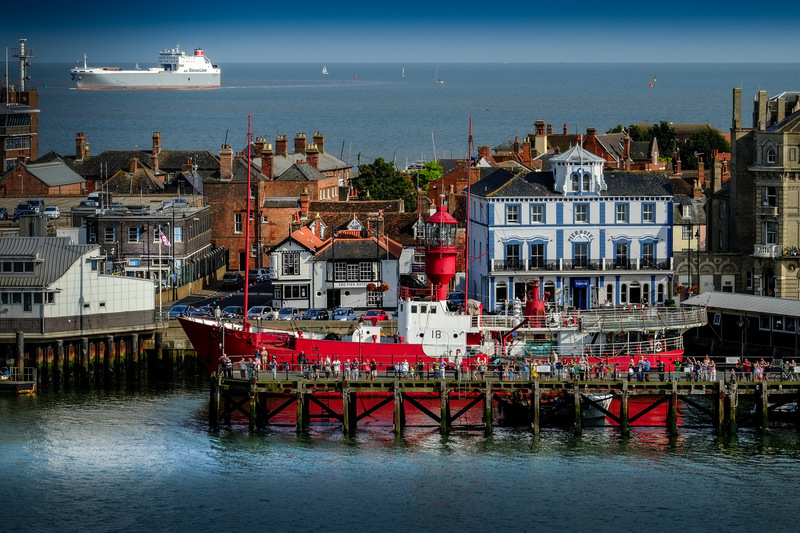 The real Harwich – does possess both character and atmosphere. Built on the south bank of the River Stour just where it joins the River Orwell, it is quite a medieval pattern, the five principal streets running from south to north to the water’s edge being crossed by narrow lanes and thoroughfares. You are never far from sight or sound of the sea. You get exciting glimpses of ships at the ends of the streets. At certain times you may see the local shrimpers-now, alas few in number-unload the finest, pinkest, most succulent shrimps in the world. Throughout history Harwich has played an important role as a naval base in times of war. Harwich was a packet port used by travellers heading to mainland Europe. It was also a naval base during both wars with our neighbours on the other side of the North Sea, a shipbuilding Centre and a trading and fishing port. In the Second World War it was the base for destroyers, corvettes/minesweepers, and trawlers, including Dutch, French, and Polish ships. 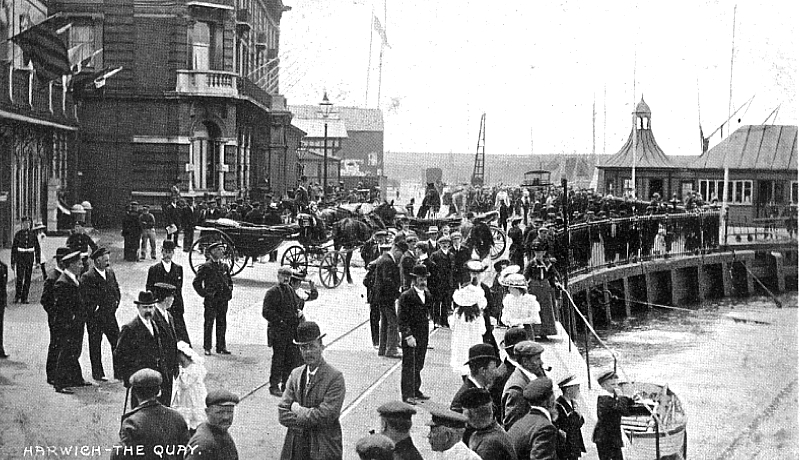 There was something very leisurely about Harwich Quay in the days when horses used to pull trucks up and down past the Great Eastern Hotel. The time of clip-clop horses and creaking railway wagons was recalled by Albert Hamm of Elmhurst Road, who was a horse boy. After he left school at 13 he worked for the Co-op in Church Street, Harwich for a year and then became a railway horse boy until he was 18. The horses used to draw trucks from the old cattle pens near the gasworks, No locomotives were allowed on the waterside at Bathside, so the horses used to pull the trucks. The railway lines used to run along Harwich Quay to the Angel, and up the other side as far as Church Street. Engines were not allowed to go where the train-ferry now stands. They pulled a lot of stuff used in building the train-ferry bridge. I used to get to the stables at 7 am – where the bus station is now – and start cleaning the horses and feeding them, also cleaning out the stables. Previously this was the site of the shipyard and before that the site of the 12th Century castle. Ships were built here in the 16th Century under Chapman and Pett. Elizabeth I came to inspect the shipyard in 1561. She stayed at the noblest house in King’s Head St – it was a medieval aisled hall – possibly the Duke of Norfolk’s. Originally known as King’s yard as it passed out of naval hands in 1713. from that time the Royal Naval yard was leased to various private operators who continued to build and repair naval and private vessels. John Henry Vaux took over the lease in 1874 following the death of his father. Vaux played a prominent role in the town serving several periods as mayor. John Vaux died aged only 52 after a short illness on 30th June 1894, John’s wife and daughter decided to continue to run the shipyard themselves with two newly appointed Directors. 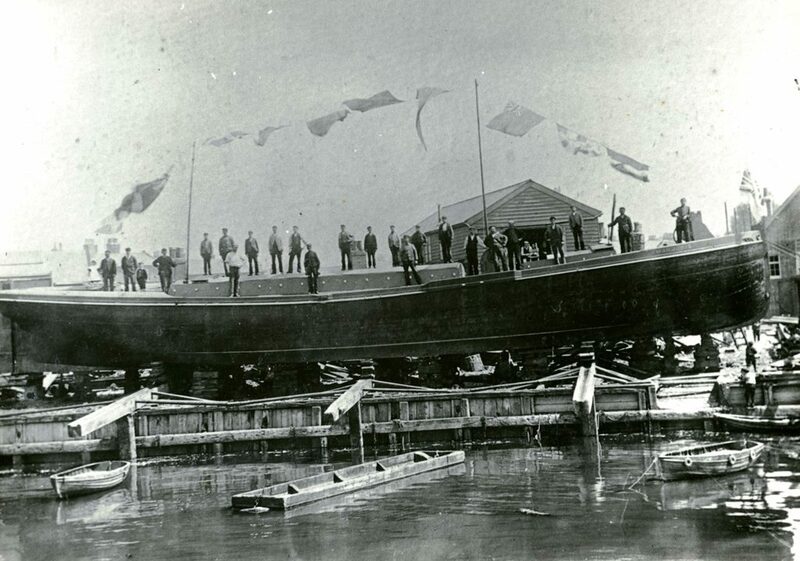 In March 1895 a new owner was found for the Royal Naval yard, William Blenkinsopp McLearon, during William’s ownership some six barges were built the last of which was Danneborg which was launched on 29th July 1901. On 1st February 1901 William Blenkinsopp McLearon died aged 62, the business, valued at £ 4,000 was inherited by four of William’s sons William, Stanley, Alfred and Frederick. A list of the Men of War constructed in the Old Naval Yard 1660-1827 is shown on a board near the entrance to the Navyard Wharf. here is also situated the old shipyard bell which was cast by John Darby, Bellfounder of Ipswich in 1666. It was housed in a bell tower in the middle of the Old Naval Yard and rung daily to summon people to work. It was disposed of in the late 1920s. The bell was discovered in a junk yard and bought and presented to the borough of Harwich in 1929 by a former M.P., the late Mr. John Pybus. It was appropriately enough, presented to the town at one of the Guy Carnivals, for it was the shipwrights of old who inaugurated the custom of the November carnival at Harwich and the torchlight procession through the town. An interesting point about the old bell is that when it was cast by John Darby of Ipswich in 1666 he inscribed the “D” of his name the wrong way round and it remains for posterity to see. The Treadwheel Crane, now situated on Harwich Green, spent its working life in this shipyard. it was worked by men walking in the interior of the wheels. Two wheels produce balanced action. Each wheel is 16ft (5.8 m) diameter, 3ft 10 ins (1.4 m) wide and made of oak. The wheels are spaced 4ft (1.5 m) apart on a common axle 13½ ins (34 cms) diameter. The jib has a projection of 17ft 10ins (6.5 m). Conspicuous omission is any form of brake which made this type of crane somewhat dangerous. A spar was kept handy for levering against the outer edge of the wheel. But the efficiency of such a crude form of braking depended upon both the presence and presence of mind of a workman at the critical moment, a doubtful combination. Should the load take command, the men in the wheels would be revolved backwards with disastrous results. As far as is known Harwich has the only British example of a two-wheel man operated Treadwheel crane. The war years saw the boom days again but with the war over the business went into decline and in September 1921 the yard was closed. The Royal Naval shipyard remained dormant until the admiralty took over the yard for war work in 1939. But was vacated in the spring of 1948 only to be taken over by David Budworth. In September 1956 Wivenhoe shipyard took over the shipyard leaving an area near the old bell shipyard and naval house for David Budworth to continue with the gas turbine business. Navyard Wharf was established on the site in 1962 and operated by Harwich Dock Company Ltd – part of Mann Group. Mann & Son (London) Ltd was established as the agency and forwarding company. 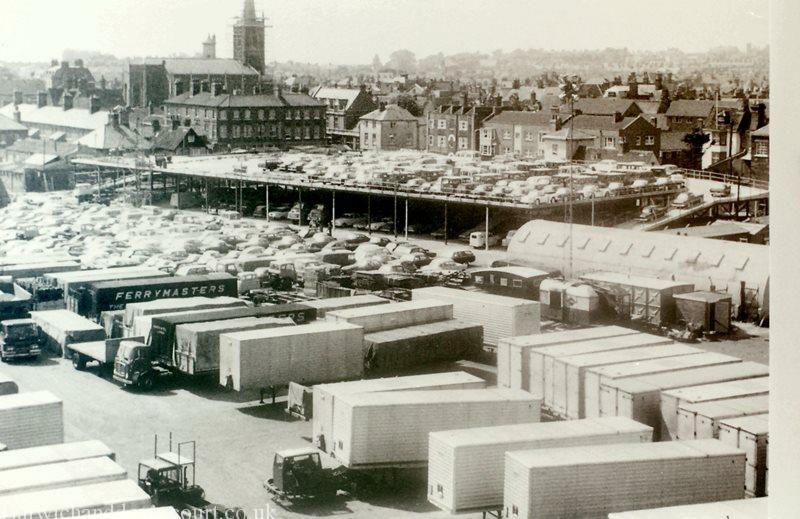 At this time Navyard was the first specialised built car terminal and one of the leaders in Roll on/Roll off ports within the UK. It was a very busy port with cargo ships sailing to various ports in Finland, Sweden, Norway, Denmark and Belgium. As business grew the like of Cobelfret moved from Harwich to Purfleet. Navyard’s then owners – United Carriers were subject to a management buy-out at the end of 1992. Since that time there has been many changes that have ultimately seen the Mann Group develop and grow to what we have today. On 3rd January 1964 the £0-5M new quay was officially opened and christened Navyard wharf. Prinz line transferred their Bremerhaven passenger service from Parkeston quay to Navyard wharf on the 1st January 1969 using the charted vessel Viking III and from March the regular vessel Prins Hamlet returned to the Harwich route. the transfer of German passenger services from 1st may 1982 to Parkeston Quay led a moral blow to the old town as passengers increased the local business trade. 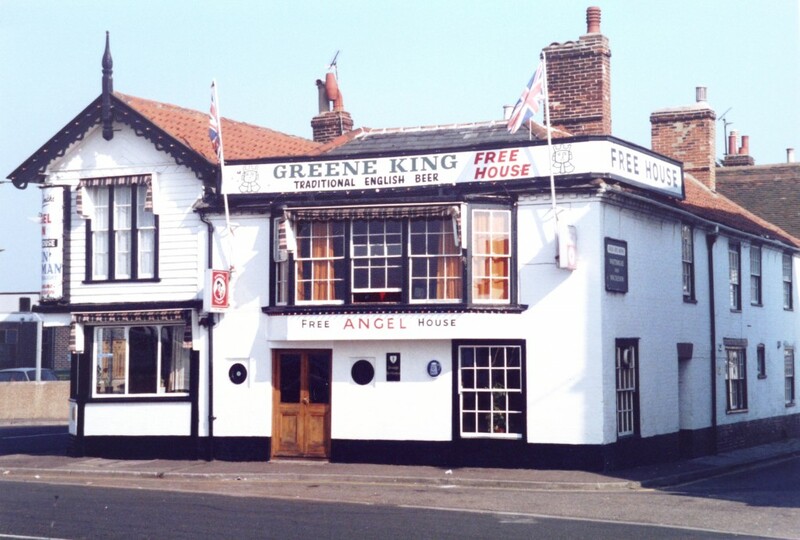 The Angel Public House opened in 1824, this quayside pub was a popular meeting place for Naval officers from the reserve fleet moored in the river as well as those from Hms Ganges. In 1837 as part of the brewery sale the pub was described as containing a Tap Room, Parlour, Bar and Cellar, front Sitting Room and Bed Room, two back Bed Rooms, Wash-house, Coal and Wood-house and also a Dwelling House adjoining, containing for Rooms and a Wash-house. The pub also had a children’s room in the back part of the pub where families could leave their children whilst enjoying a drink. The building was sold to the Milton group in 1999 and restored as an annexe to the Pier hotel. Halfpenny Pier (Town Pier/Corporation Pier). The Corporation Pier opened on 2nd July 1853 was known officially throughout the 20th century as “Halfpenny Pier” because of the halfpenny toll charged (like a platform ticket),When the pier was first opened it was 343 feet (105 metres) out into the river and had a north-easterly arm halfway along it until 1927. That year the main pier beyond the arm was destroyed by fire and was never rebuilt, leaving the L shaped pier as it is today. In 1845 it was proposed that the area between Harwich and Ray Island (Parkeston Quay) be developed to facilitate the Steamship Services to operate from Harwich. This was abandoned when financial support was not forthcoming and the more modest scheme put forward by Harwich Corporation which included the pier, was passed in 1851 “despite strong and very unfair opposition from Ipswich Corporation and certain ship-owners”. 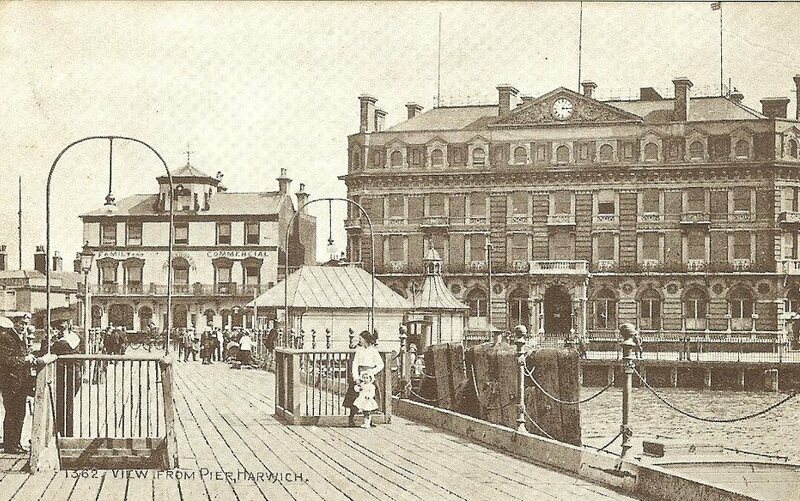 Mr. Peter Schuyler Bruff, an outstanding civil engineer of Ipswich, was engaged to construct the pier and quay. Because the Corporation was unable to repay its loans, the Great Eastern Railway gradually acquired a controlling interest in the pier, and it eventually became GER property in 1872. The GER ceased to use the north westerly face as a lay by and Repair berth from 1890 when the new repair workshops were opened At Parkeston quay. The North face of the eastern arm was used by the GER Paddle steamer services together with visiting coastal paddle steamers. Harwich was always a popular tourist attraction at the end of nineteenth and early twentieth Centuries, especially for day-trippers. This view is, in many respects, much the same today, with the ticket office and waiting room still in position. Looking beyond the Halfpenny Pier, coal trucks can be seen on the Continental pier, and moored alongside is one of the GER paddle steamers. A walk along the quay front was obviously a Sunday afternoon Favourite and the crowds here seem to find something interesting going on in the water. The Halfpenny pier had been used by the Royal Navy throughout the First World War and in 1920 the GER allocated £5,500 to rebuild the eastern arm of the pier at this time negotiations where underway whereby the GER amalgamated with other railway companies to form LNER. So the project was temporarily put on hold. The Halfpenny Pier was owned by Trinity House up to 1988 and is now in the ownership of the Harwich Haven Authority. 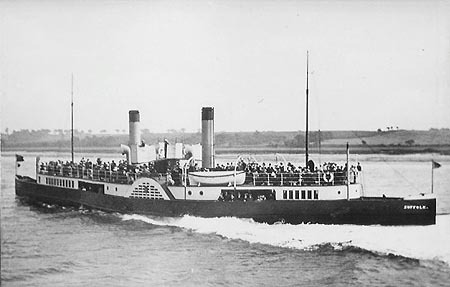 The Great Eastern Railway, in addition to their sea-going fleet, had paddle steamers for the ever popular local excursions between Harwich, Felixstowe and Ipswich. The arrival of a steamer always drew a large crowd on to the pier, but this was usually exceeded by the numbers leaving and boarding. he paddlers had electric lighting and could achieve a speed of 12-14 knots. The Service started with the 2 main vessels Suffolk and Essex. 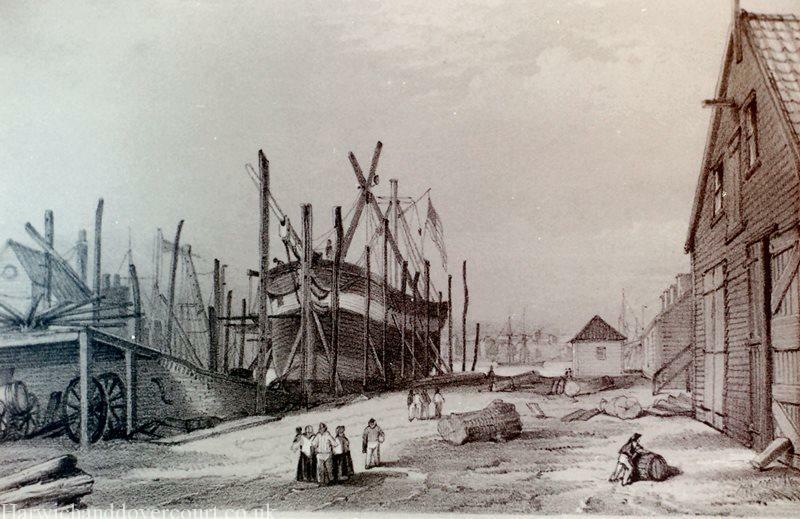 The New docks at Ipswich were opened in 1842, and passenger services to Harwich started with the River Queen of the Ipswich Steam Navigation. She was followed by the Cardinal Wolsey and Atalanta. The GER built their first steamers Ipswich (1) and Stour (1) in 1864 for the Ipswich-Harwich service. They were replaced by the Orwell and Stour (2) in 1873 and 1878. 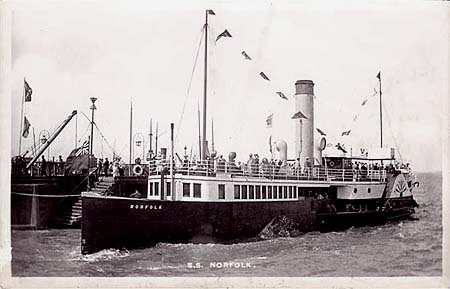 In 1882 the excursion paddle steamer Norfolk (1) was delivered. She was based in Harwich to run trips in connection with the London boats. She was sold in 1897 for service on the Mersey. Ps Stour (1864) was built by James Ash at Cubitt Town on the River Thames. A sister of “Ipswich” and operated as a river steamer from Ipswich to Harwich. Withdrawn in 1878 and replaced by a slightly larger new building with the same name. PS Ipswich (1864) was built by James Ash of Cubitt Town on the River Thames she served as a river steamer between Ipswich and Harwich. She was the first GER vessel having replaced the “Cardinal Wolsey” which was an Eastern Counties Railway ship on this service. 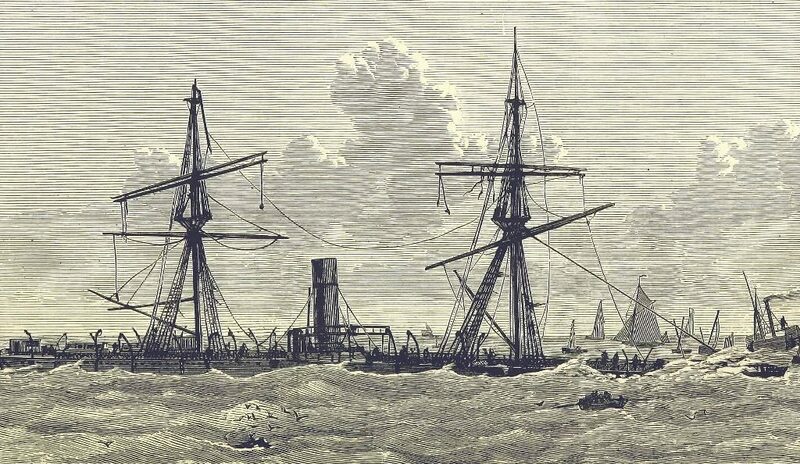 She was withdrawn in 1873 and was scrapped in 1881. Ps Orwell II (1873) was built by Lewis and Stockwell in London and operated on Ipswich – Harwich ferry service with her sister “Stour”. They looked like paddle tugs but had no towing facilities. Orwell was sold for scrap in 1890. The GER built their first steamers Ipswich (1) and Stour (1) in 1864 for the Ipswich-Harwich service. They were replaced by the sisters Orwell and Stour (2) in 1873 and 1878. They looked like paddle tugs but had no towing facilities. PS Stour II (1878) was built by Thames Ironworks and Shipbuilding Company and a sister of the “Orwell”. Based in Ipswich for the river service to Harwich. Replaced slightly smaller vessel of same name. Sold in 1900 for River Thames river service and was scrapped in 1908. The Belle Steamer “Woolwich Belle” ran daily, Fridays excepted, Felixstowe, Walton-on-Naze and Clacton, leaving Harwich Pier at 10.00 a.m. and arriving back at 4 p.m., allowing several hours a shore. Occasionally there were long day trips to Southwold, Lowestoft and Margate. 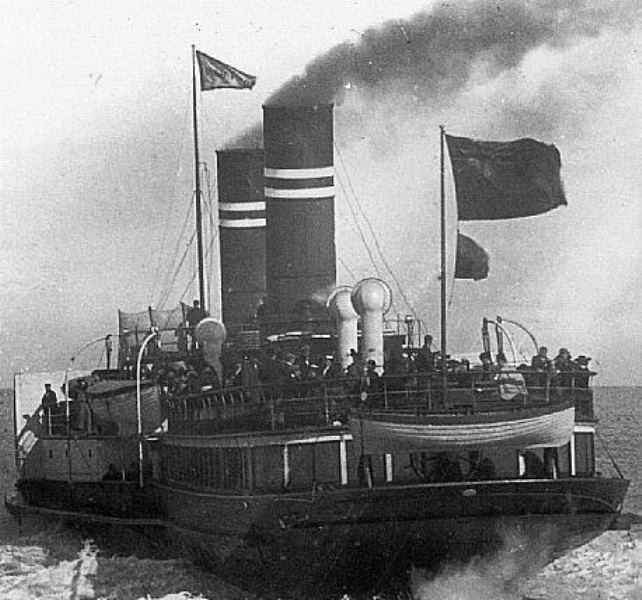 Built for the London, Woolwich and Clacton-on-Sea Steamboat Co entering service from London to Clacton in May 1891. In 1894, Woolwich Belle inaugurated her owner’s connection from Ipswich to Clacton (via Felixstowe and Harwich). From July 1909, sailings were commenced at Felixstowe, going as far as the Kent Coast, Tilbury and the Medway. In 1914 she alternated her base weekly between Sheerness and Harwich not requisitioned for war service, she remained inactive during the hostilities due to her inactivity she was not purchased along with the rest of the Belle Steamers. 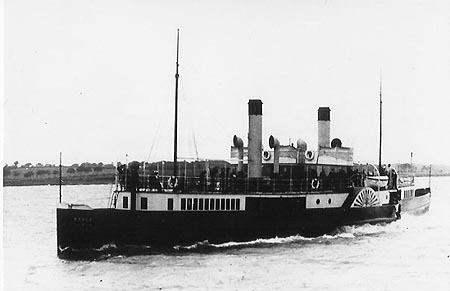 In May 1922 a refitted Woolwich Belle was sold to The Channel Excursions Ltd of Brighton and renamed PS Queen of the South she was sold on to the New Medway Steam Packet Company in 1924 Stationed at Great Yarmouth in 1929 as the New Medway Company made a failed attempt to expand its operations to the Norfolk port. Refitted after the 1930 season, including the installation of an oil-fired boiler. Withdrawn after the end of the 1931 season she was scrapped at Grays in 1932. Ps Suffolk II (1895) was built by Earle’s Shipbuilding of Hull and launched on the 13th May 1895 with accommodation for 819 passengers divided into two classes; the first class had a saloon decorated in polished light oak wood, the settees being upholstered in rich velvet. The second class passengers had their accommodation in the other half of the ship, with a main saloon decorated in polished pinewood. 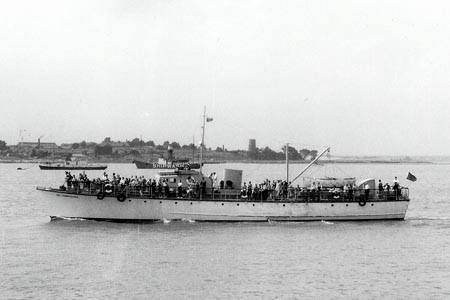 Suffolk was employed on local services and coastal excursions from Harwich and was used as a picket ship during the First World War, before returning to her pre-war service in 1919. PS Suffolk was acquired by the London & North Eastern Railway (LNER) in 1923 & based at Harwich. She was sold to a Dutch company in 1930 and taken to the Netherlands where she was broken up in 1931. Ps Essex was built by Earle’s Shipbuilding of Hull in 1896 and employed on local services and coastal excursions from Harwich. This double ended steamer was built as a larger version of Suffolk for the GER. Essex was used for services between Ipswich and Harwich. She continued in service for the GER until she was sold in 1913 and almost immediately resold to Mr Henry Cooney. Mr Cooney ran various boats as ferries between Southend and Sheerness. When the First World War started, she was laid up off Westcliff on Sea until 1916, when she was sold for use on the Humber, where she had been built. After two years, Essex was sold for use in the Mediterranean and changed her name to Acropolis. She disappeared from the shipping register in 1925. On the 8th of June 1900 the Norfolk joined the service, with accommodation for 911 passengers and at a cost of £ 15,500. Ps Norfolk was built by Gourlay Brothers of Dundee and launched on the 25th April 1900 she was used on local services and coastal excursions. Norfolk was a double ended paddler and operated with Essex and Suffolk for the Great Eastern Railway. Accommodation was slightly larger than her sisters with space for 911 passengers. She sailed to Harwich and Felixstowe, also making sea trips from Felixstowe on an excursion basis. Norfolk was operating until 1929, when she was laid up before being sold to D Tweedie of Edinburgh and sold to Dutch ship breakers, both in 1931 before being scrapped in 1935. With the outbreak of war the service was suspended with both vessels used by the Navy on Harbour duties. On the 26th May 1919 the service re-opened but by the late 1920s it was losing money and on the 4th of October 1930 the service was finally closed. Suffolk and Norfolk were sold for scrapping leaving Harwich in May 1931. The Paddle steamer Koh-I-Noor was built by Fairfield Shipbuilding, a sumptuous ship, boasting a promenade deck that ran for some 300 ft from stem to stern and dining facilities for 200 passengers. Other facilities included electrical lighting throughout, a post office, a hairdresser’s, two bathrooms, as well as a book stall and fruit stall. The service was very popular with holidaymakers and local traders brining money into the town. Koh-I-Noor was due to have new boilers fitted just before the outbreak of the Great War, but in the event this did not happen and after sailing back to her builders for the work to be done. she was laid up for the duration and never again entered service, Koh-I-Noor was broken up at Morecambe in 1919. Vessels companies and timetables changed over the years with many well-known names such as Southend Belle and GlenRosa calling at Harwich Halfpenny Pier. 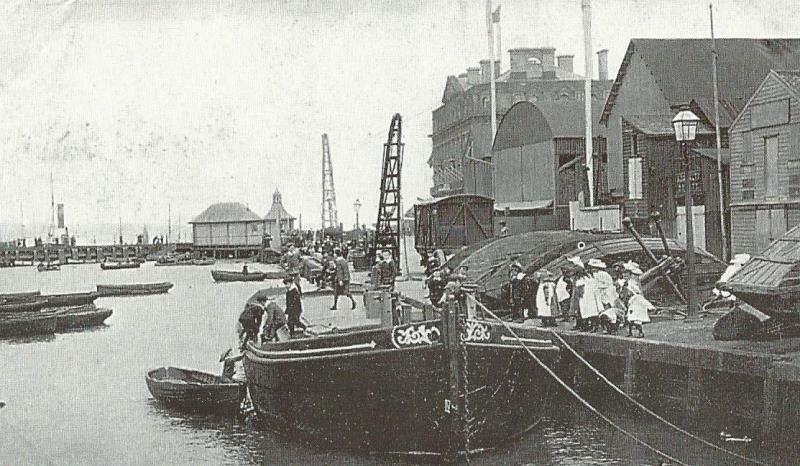 The Great Eastern Railway Company in 1911 opened a new motor boat service between Halfpenny Pier and Felixstowe Dock basin. The G.E.R. purchased from Sir Thomas Lipton a motor boat Pinmill. Pinmill was built by Dan Marine Motor Engineering Co. Ltd, Ipswich and completed in 1910. At 09.00 on the 22nd July 1912 Pinmill set sail from Halfpenny Pier to Felixstowe on the inaugural voyage. The service was hourly in the summer, reducing to two-hourly in the winter. She was an immediate success, and so a second service was initiated between Harwich and Shotley. The harbour service was suspended during World War 1 and Pinmill was used by the navy as a launch. Pinmill passed to the LNER in 1923, but was withdrawn from ferry services on the arrival of Brightlingsea in 1925. She remained in railway service at Harwich however, being converted into a work boat. Pinmill passed to British Railways in 1948, and received Sealink colours in 1967. She even deputised for eight weeks in 1985 whist received her third engine. 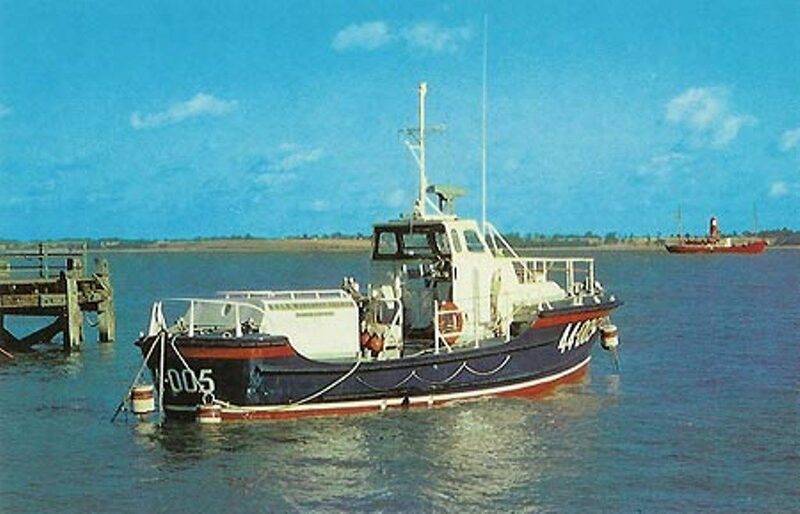 Pinmill remained a workboat fitted with a new engine and funnel and in the new Sealink colours she briefly returned for eight weeks in 1985 to replace Brightlingsea’s engine refit. Two new purpose built motor ferries costing £ 1, 1156 were purchased from Vosper & Company, Portsmouth and on the 3rd of May 1914 Epping arrived at Harwich. Epping was built by Vosper, Portsmouth, and completed in 1914, in military service 1914-1918. Epping passed to the LNER in 1923, and then to British Railways in 1948. She was sold when BR closed the ferry in 1961; Epping sailed for Parkeston Quay before being purchased some three months later by Mr Knights, but future use was unknown. On the 5th of June 1914 Hainault arrived at Harwich, the 50 foot long vessel held a passenger certificate for 125 with a speed of 9 knots. Hainault was built in 1914 by Vosper, Portsmouth; The harbour ferry services was suspended during World War I and Hainault was requisitioned for Military service from 1914-1918. In August 1940 the service was suspended again and all four ferries were used for naval duties in the harbour. 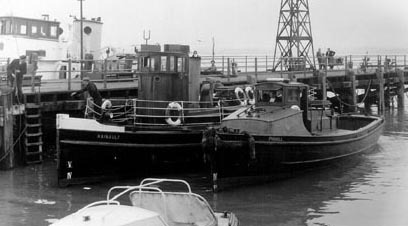 Hainault was purchased for conversion into a houseboat in 1961. The Great Eastern Railway Company joined forces in 1923 to form the London and North-Eastern Railway Company. 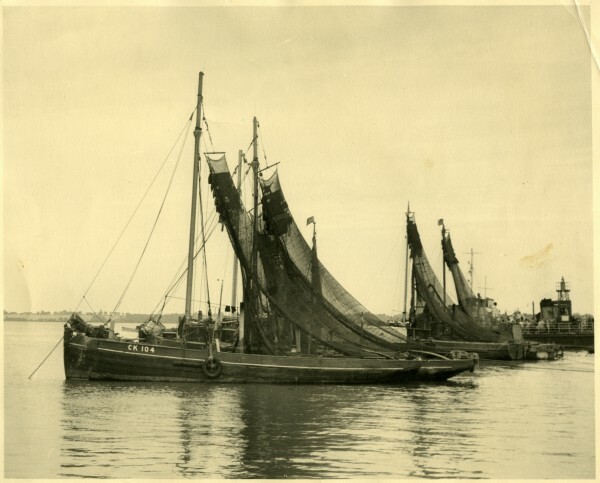 The new company ordered its first new vessel from Rowhedge Ironworks; the 70 foot long £ 4,593 Brightlingsea arrived in the Harbour on the 21st October 1925. M.v Brightlingsea was built for the London & North Eastern Railway (LNER) in 1925, by the Rowhedge Ironworks near Colchester. She was the first new vessel delivered to the LNER, which had been formed in 1923 by the amalgamation of the Great Eastern (GER), Great Central (GCR), Great Northern (GNR), North Eastern (NER) and other railways. Brightlingsea was 51 gross tons, and had saloons for 152 passengers. Brightlingsea passed to British Railways in 1948. From May 1964, the service was assigned to George Goodhew’s Orwell & Harwich Navigation Co, for which Brightlingsea operated during the summer. The smaller launch Orwell Haven was used in winter. In 1967, Brightlingsea was joined by the Torbay Prince of 91 gross tons, which was generally used on excursions. In 1979, the Goodhew concern was taken over by the Felixstowe Dock & Railway Co, which was owned by European Ferries. In 1984, the Orwell Bridge was opened, providing faster road links to Felixstowe, and passenger numbers declined significantly. In 1985 Brightlingsea was sold to Harry Rodger, former superintendent of the Orwell & Harwich Navigation Co. Brightlingsea continued to maintain the route until the mid-1990s when she was denied access to her protected berth in Felixstowe Dock, due to port re-development. River Lady was built by J.W. & A.Upham of Brixham in 1941. She was part of the 61st Flotilla from 1942 to 1945, and was sent for disposal at Harwich in 1946. She was bought by The Devon Star Shipping Company, but was initially used locally on the River Orwell for excursions in 1946. River Lady was bought by the Western Lady Ferry Service and retained her name. She was used as a cruise and charter boat until 1973. She was then used as a diving support vessel at Plymouth as Western Diver until 1985. Although sold for scrap, she passed to a Dutch company her fate is unknown. 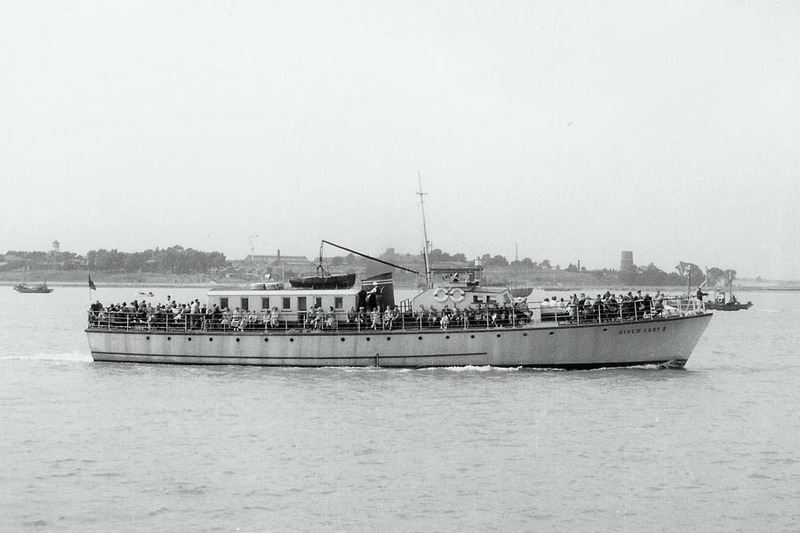 In 1946 the former motor torpedo boat now renamed River Lady II was purchased and converted into a pleasure cruiser, after only a few seasons the vessel was replaced by Torbay Prince. River Lady II was based at Ipswich though commenced her cruises from Ipswich and Halfpenny Pier, Harwich. The Ipswich Company was known as the Devon Star Shipping Co Ltd, formed in 1946. She was replaced by the 1941 built Fairmile “B” motor launch River Lady II, converted at Brixham, for the 1947 season. After a brief period at Holyhead, River Lady II spent many years abandoned at Glasson Dock. By 1981 she had become just River Lady, and was a hulk on the mud at low water at St Georges Quay, Lancaster. 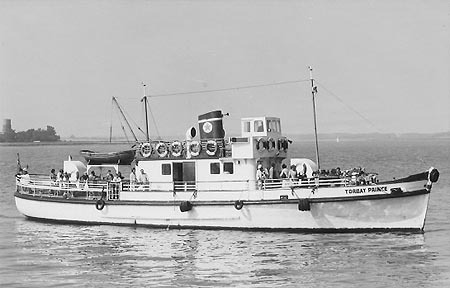 The Torbay Prince was the only purpose-built Torbay excursion boat, being completed by M.W.Blackmore for Devon Star Shipping Co. 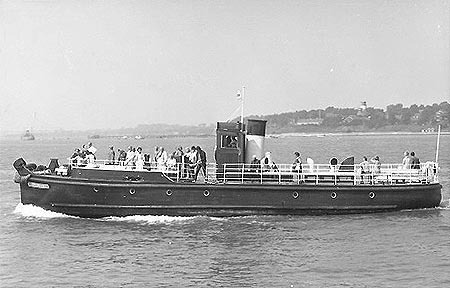 The Harwich & Orwell Navigation Company had been formed in 1962 to run the Harwich/Felixstowe ferry service following its closure by British Railways. It was owned by George Goodhew and A.R.Grey. They used the ex-LNER/BR Brightlingsea on the ferry, and they also acquired River Lady II to run excursions. River Lady II was sold in 1963, and was replaced with Torbay Prince for a few years. Torbay Prince returned west, and was later renamed Tudor Prince for service from Pembroke and Tenby in South Wales. She ended on the River Fal looking very smart in a red and cream colour scheme. In 2008 she is at Ponsharden on the Fal awaiting restoration, some work having been undertaken. She has been renamed Torbay Prince. Gay Commodore was part of the Commodore Cruises fleet of ex-Navy Fairmile ‘B’ launches. Gay Commodore has not been identified and reportedly went to Qatar as Shellex in 1948. However the photo below of her at Harwich is dated 1952. I have no further information about her use in the Ipswich/Harwich area. For the record, her sisters were White Commodore (ex-ML445), Silver Commodore (ex-RML499), Fleet Commodore (ex-RML534) and Red Commodore (ex- RML537). 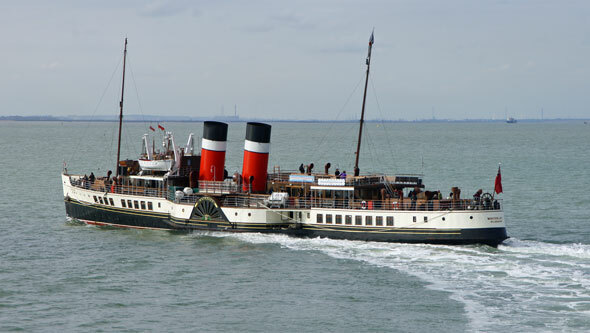 In September 1988 the paddle steamer Waverley paid her first visit to Harwich together with Balmoral their day trips from Parkeston Quay and Halfpenny Pier weir very popular. PS Waverley was built on the Clyde in 1946 by Shipbuilders A. & J. Inglis of Glasgow and was originally intended to sail only between Craigendoran & Arrochar in West Scotland. She now sails right round Britain offering regular trips on the Clyde, the Thames, South Coast of England and the Bristol Channel, Waverley is the world’s last sea-going paddle steamer. In 1975, at the end of her working life, she was famously bought for £1 by the Paddle Steamer Preservation Society. In her first year in service she wore that company’s red, white and black funnel colours. The 1948 nationalisation of Britain’s railways brought their Scottish steamers into the Caledonian Steam Packet Company (CSP), a subsidiary of the Railway Executive, and the funnels were repainted yellow with a black top. In 1965 a Scottish red lion rampant was fixed to each side of both funnels. Waverley’s hull was painted monastral blue until 1970. 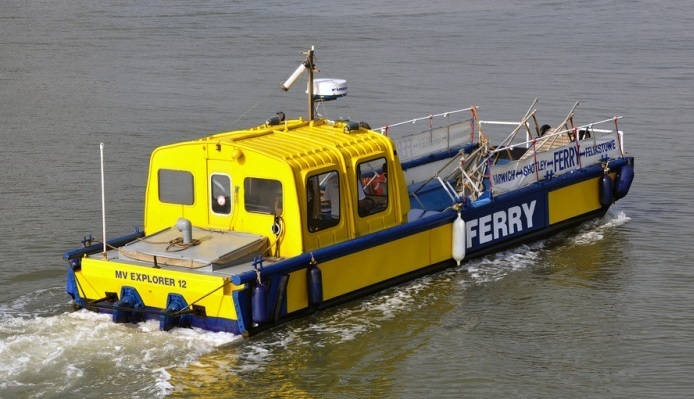 In recent years the Harwich-Felixstowe/Shotley ferry has been operated by the landing craft Explorer 12, which can run up on the beach at Felixstowe. She also runs short cruises upriver towards Harwich International Port. Explorer 12 is licensed to carry 12 passengers and operates from the Ha’penny Pier at Harwich. At Felixstowe the ferry has a landing site near Landguard Fort, and at Shotley passengers are landed at the pontoon at Shotley Point Marina, a short walk from the village of Shotley Gate. Ex lifeboat from the luxury cruise liner SS Canberra. Initially licenced for 120 passengers the boat has now an MCA licence to transport 58 passengers from and to Shotley, Harwich and Felixstowe. The Boat is extremely strong built with 1-2 inch thick fibreglass, wood and metal. We have a 65 passenger life raft, life jackets and all sorts of other safety equipment. 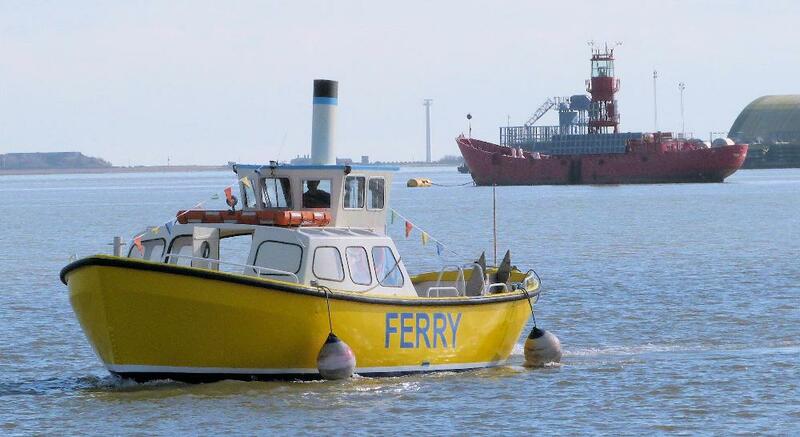 In May 2016, ferry owner Christian Zemann, who purchased the Harwich Harbour Ferry operation in 2015, launched his new boat, the Harbour Ferry, which is licensed to carry up to 58 passengers – a significant increase on the previous ferry’s 12-person capacity. Alongside the substantial investment in the new ferry, the company has also commissioned local company Fox’s Marina & Boatyard to design and build a bespoke boarding ramp that will allow passengers to embark and disembark from the vessel easily and safely, direct from the beach alongside Felixstowe’s View Point Café at Languard Point, which makes the Harbour Ferry the biggest ferry operator in the UK for beach landing! The Harbour Ferry is very popular with both visitors to the area and locals wishing to enjoy the beautiful scenery and bird life along the River Stour and River Orwell, with many footpaths and cycle routes directly accessible from the ferry departure points. It also provides a unique way to arrive for those visiting the historic Languard Fort in Felixstowe, or those planning a leisurely lunch at the exquisite Pier Hotel in Harwich. Festively painted three storeys with an octagonal belvedere perched on the slope of the roof. 37 year old ex-Londoner and businessman John Brice saw commercial possibilities; in 1850 he became a publican and purchased the old brewery site. Brice’s plan was to open a Hotel near the quay within close proximity of the Railway lines and accessible for travellers arriving and departing from the pier, Building work began in 1860 despite objections from other publicans he was granted a liquor licence and on the 4th September 1860 the Pier was open for business. 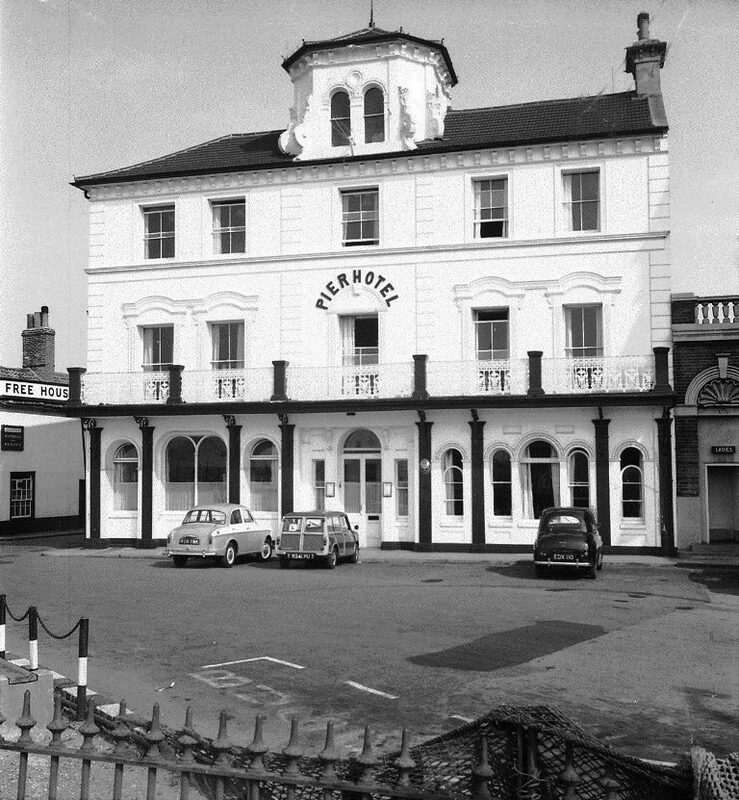 Originally regarded as unnecessary and a failure, Harwich’s Pier hotel was transformed into a building of international Repute and is now classified as; an eye catching building of merit’. It was proposed as early as 1836 to build a branch line from the main London to Norwich main line to Harwich. The first railway station was built at the seaward end of George Street and a railway line ran along the quayside to the Corporation (Halfpenny) Pier so that streamers could be bunkered from coal trucks pulled alongside by horses. Passengers walked from the station to the pier and booked their passage at the pier ticket office. it was not until 4th August 1854 that the line was completed and the first train arrived in Harwich. The official opening was on 15th August when a train left Harwich for Manningtree and the first train from London arrived. The Mayor and other distinguished guests boarded the train at Dovercourt, to be greeted at Harwich by a huge crowd. On the decorated platform the band played ‘See the conquering hero comes’ and the guns at the Redoubt fired a salute. In November, nearly 4000 shareholders of the Eastern Counties Railway came from London in four special trains, each being greeted by a salvo from the Redoubt’s guns. A public dinner was held on the new Ha’penny pier, which seemed to be tempting fate considering the time of year!. 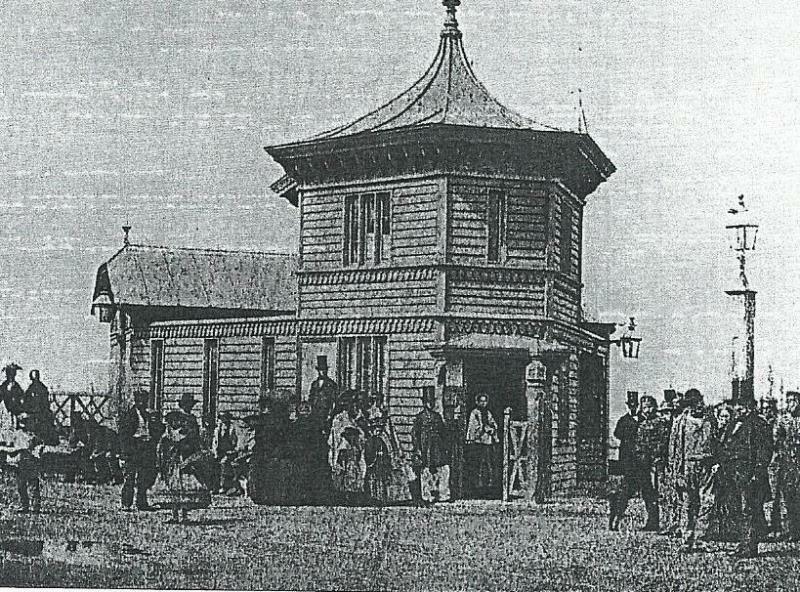 The station was demolished in 1865 and a new one built on the present site. When the E.C.R took over the E.U.R It acquired a fleet of paddle steamers and used the new pier for a ferry service to Ipswich, in 1863 the ECR amalgamated to form the Great Eastern Railway. The G.E.R began a weekly service to Rotterdam in 1863 and the following year a service to Antwerp. the G.E.R. started with three charted vessels, these proved unsuitable so two new builds arrived. Paddle steamers, Zealous, continued until 1887 and Avalon in 1865, sold in 1888 before being sold and wrecked in Jamaica in 1909. The timber Continental Pier had been built in 1866 by Perry and Jackson at a cost of £ 6,490 as a 490ft by 90ft timber pier for use by the principal continental ships, for which the Halfpenny Pier was too small for convenience. but the continued growth in traffic and size of vessels necessitated expansion, which was not available in Harwich. 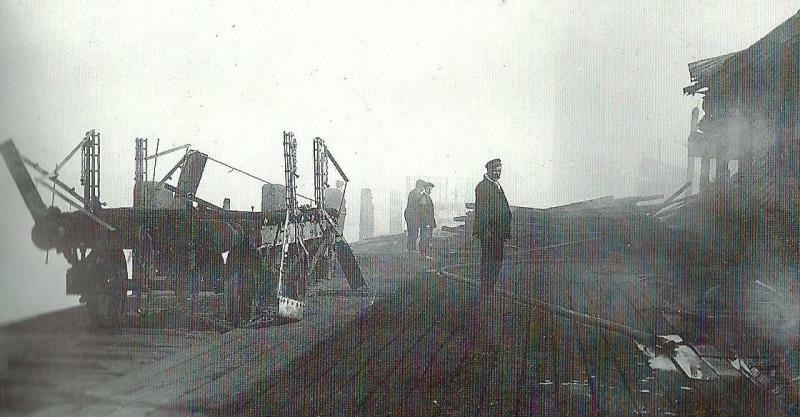 The pier was equipped with railway tracks to convey freight and cattle around the country and had its own steam crane. 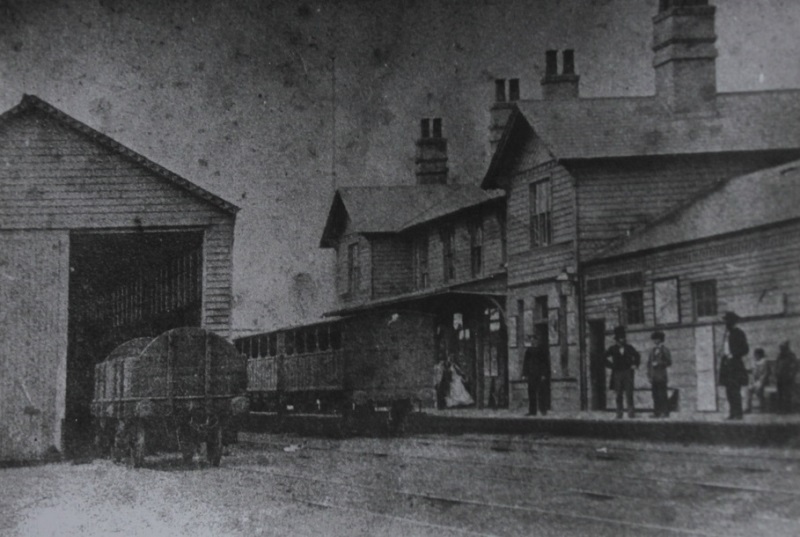 The 1854 passenger station had to be removed because it was in the way of the approaches to – this pier. In the event the continental traffic grew so fast after 1865 that the construction of Parkeston Quay had to be authorised in 1874, and after its opening in 1883 the Continental Pier became a secondary facility for some of the cargo ships only. Shortly before 10pm on June 18th 1910, a disastrous fire occurred on the pier. on the Quay Front at Harwich. Groom’s timber yard imported vast quantities of Scandinavian timber which were unloaded directly into the harbour overboard from ships bringing them in. They were then chained to rafts and taken up the river to the saw mills at the back of Dovercourt railway station. Groom rented some of the sheds on the Continental Pier for storage, along with Godding the Malster. Local People are used to seeing the Trinity house vessels anchored alongside, and the buoys and Light vessels being brought in for maintenance. the maintenance of the buoys had been the responsibility of the Harwich buoy keeper since the 17th century and a number of light vessels were added by the 19th century. However, although Harwich was developing in importance,it was not until 1930s that Harwich became a Trinity House Depot. Great Eastern Railway began a weekly service to Rotterdam in 1863 and in the following year began a similar service to Antwerp. It therefore followed that the Great Eastern Hotel was built to enable prosperous continental travellers to be entertained in luxury. The Hotel was built by Thomas Allom in ‘the free Italian or mixed style’. The first stone was laid in April 1864 and was opened on the 12th july 1865. Ten roundels on the front portray national historical figures. The facia for the hotel name is under the clock. the ground floor boasted a dining room, coffee room, smoking room, a private billiard room and two large rooms with partitions that were used for private functions. Four bedrooms and six standard bedrooms were also situated on the floor. The second floor comprised of fourteen bedrooms all of which were fitted with stoves and mantle pieces. Situated on the third floor were another fifteen bedrooms and a water closet. On the roof was a 70 x 10 promenade protected by iron railings. The Hotel had experienced peaks and troughs and, after a period of losses, was put up for sale in 1907 as a freehold property and fully licenced. Having cost £ 32,000 it was withdrawn with a top bid of £ 8,500. The hotel was closed on the 27th April 1908 met with much opposition from local traders, the council and general public felt its closure was affecting their services and lobbied a hotel committee to reconsider. having been closed down, there were plans to reopen in 1912, in response to the growing importance of Harwich as an East Coast Naval base. The whole front of the building was turned into a lounge and a billiard room was added. 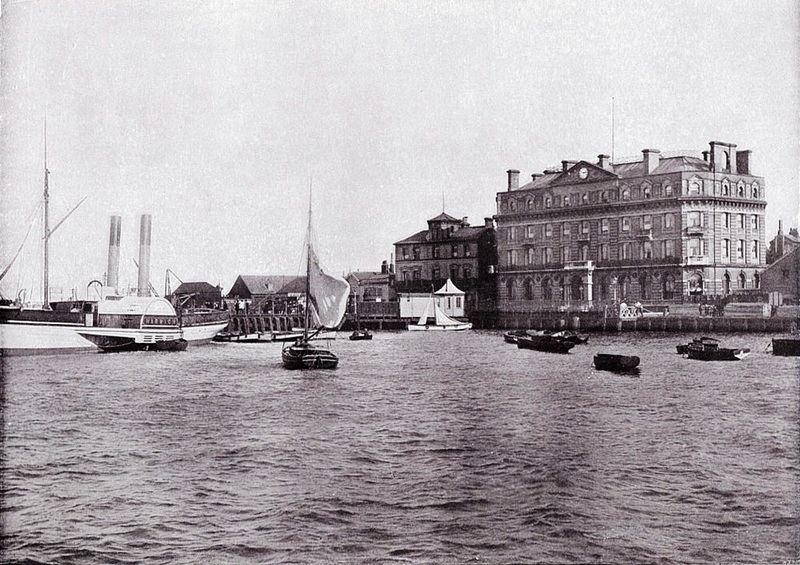 there were five or so bedrooms and a large room was devoted to the Royal Harwich Yacht Club. As a final refinement, electric lighting was planned to replace gas. 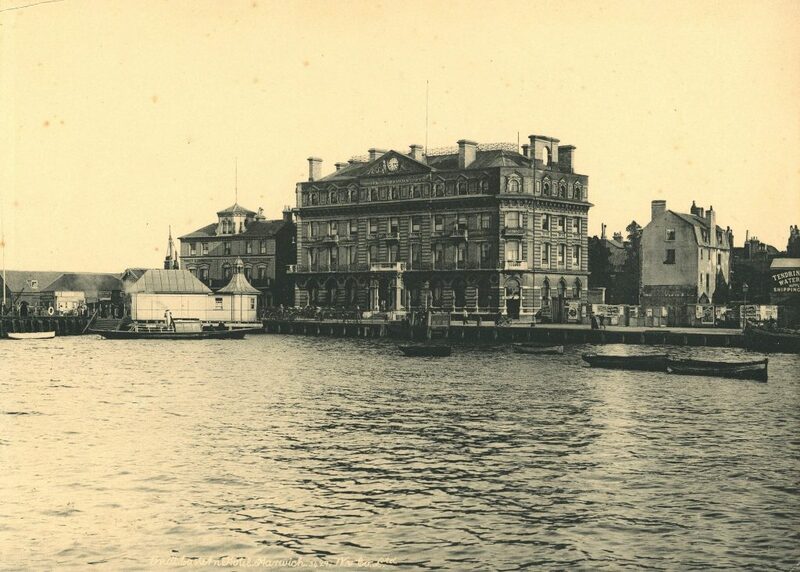 The continental steamship committee was eventually successful: the hotel was refurbished and re-opened on 30th march 1912. The G.E.R opened a tea room in 1900 between king’s head street and Eastgate Street, previously Robert hill’s coal yard. A tunnel under Eastgate Street connected the tearoom with the hotel. The idea was to get permission to build this facility then close the loss making hotel after a period of time. Unfortunatley the sale of the hotel did not materialize, and the tea room closed on 25th July 1907, the following year the hotel closed, and after public views the tearoom re-opened in 2nd April 1912. It lost much of its trade after Parkeston Quay opened, and, after previous temporary closures, was eventually closed for good in 1923. The reopening, as a hotel, was short lived as,during the First World War, the Great Eastern Hotel was one of the many buildings requisitioned by the Government. Seriously-wounded sailors were immediately taken to Shotley for assessment, treatment and surgery, and then sent to Harwich for a period of convalescence. In May 1915, following a naval battle off Harwich, 46 German crew members were landed at Shotley in the early hours of Sunday Morning. 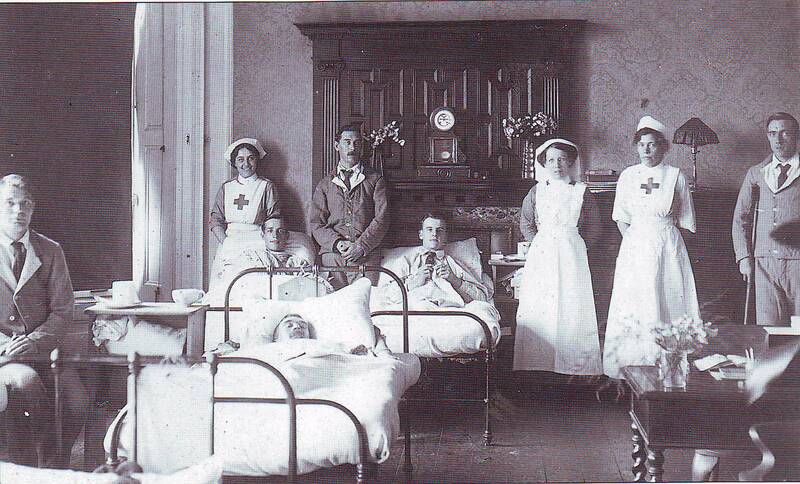 On Monday morning, 39 were brought to the Military Hospital, and all but seven were certified fit to travel. those fit to travel were temporarily detained in the Redoubt and then marched to Harwich Railway Station to catch the train for London. the others stayed in GER hotel until fit to travel. After the First World War the military vacated the Hotel, and £ 4,000 was spent on Redecorating and installing new electrical cooking equipment, in preparation for its reopening on 21st April 1920. the Admiralty again used it in WW2 as administrative offices. Its life was however short lived and lost money heavily, the hotel finally closed its doors for the last time at the end of September 1923. In 1951 it became the Town Hall and municipal offices. It is now in private ownership having been converted into flats. Built in “Swiss chalet style” about 1900 as a wooden dining room annexe to the adjacent Great Eastern Hotel to cater for day trippers coming by paddle steamer to the Ha’penny pier. Reputed to have underground connections between the two buildings. 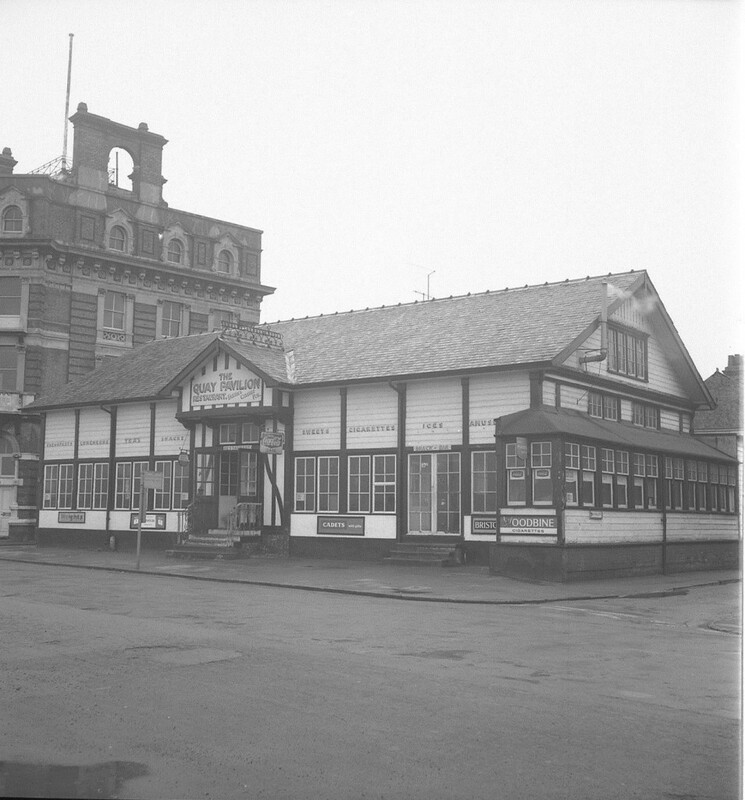 In later years the pavilion became the HQ for the Harwich Naval Sea Cadets and after World War Two was more commonly known as the Quay Pavilion which became a cafeteria for the public. Mrs Vincent recalled the days when as a waitress for the Great Eastern Hotel, she would pass drinks along the now bricked up tunnel to the old Quay Pavilion, across the road. The Great Eastern Hotel was licensed, but the pavilion was not, and this led to the passing of drinks under East Gate Street. “A porter would stand at the door of the pavilion, and if there was any disturbance he would ring a bell,” this warned the staff to hide the drink. 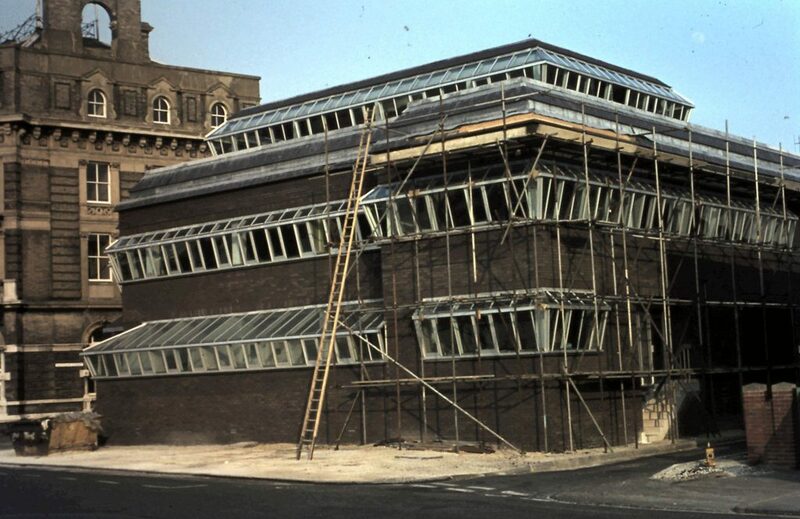 The Quay Pavilion was demolished in 1970 to make way for Harbour House. In Victorian and Edwardian times many Harwich men, spent their lives at sea. Most of them worked on fishing smacks, barges, lightships, tugs, ferries and other craft. Fishing boats often went out at night and brought contraband ashore from larger ships, but smuggling was on a comparatively small scale. The inhabitants were sympathetic to the men who supplied then with cheap tea and spirits. At least one a month the authorities held a sale at Harwich of ships and contraband which had been seized. These usually fetched low prices, for there was plenty for all. On one occasion 2,100 gallons of Gin were sold, together with the equipment and timbers of a brig which had been broken up because it had been specialty built for smuggling. Fishing at Harwich has gone through a series of booms and busts. Early in the 18th century the fleet was down to a mere three smacks, but within 60 years fishing was booming again, and as many as 500 men and boys fished from Harwich, mostly around the Orkneys and the Norwegian coast. By the 20th century the fleet had shrunk once more, concentrating on cod and pink shrimps, and now there’s very little commercial fishing at all. 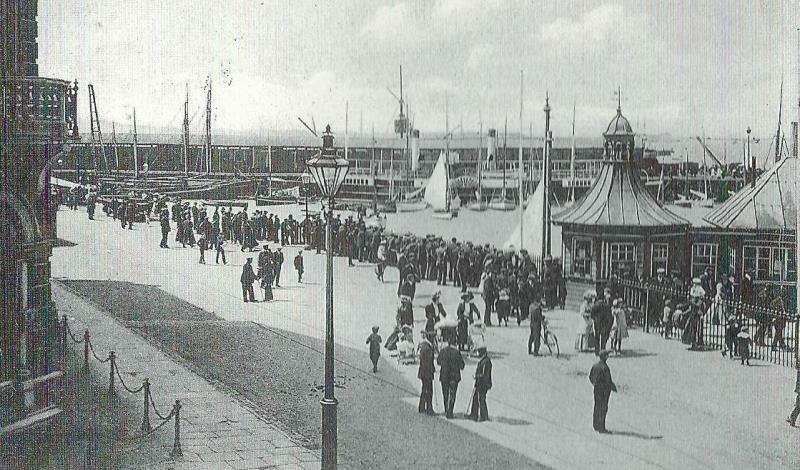 At the turn of the century, children found much to entertain them on the Quay front from watching the comings and goings of the fishing vessels to the excitement provided by the barges moored alongside the Quay, The warehouses were built by the Great Eastern Railway for storage and the presence of rail wagons on the Quay show the importance of the rail link in earlier days. Fish was stored in large cod chests before being transported on to Billingsgate fish market in London. 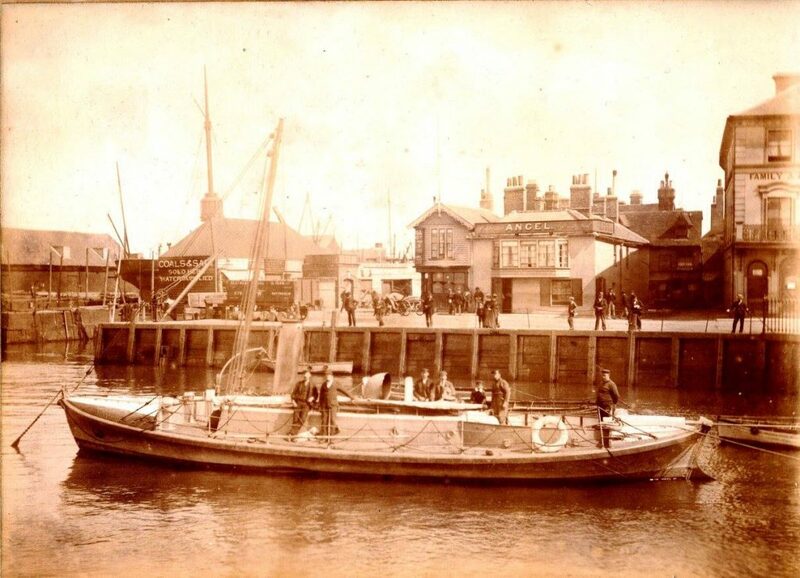 Besides trawling for shrimps, there were in 1900 about twenty bawleys and small smacks fishing all year round from Harwich for whelks, which were used as bait for long-line fishing by large smacks owned at Harwich and elsewhere. Many of the Harwich bawleys were built at the port and others were constructed there for Leigh and proved fast and able craft. Several notably fast bawleys were built at Harwich by George Cann and later his sons John and Herbert, whose firm of J. and H. Cann closed in 1922. Cann’s built a number of bawleys including the Maud and the Irene, others were the Gracie, Osprey, Helen and Violet. This picture shows a small group of boat builders at Harwich in 1930.The Golden Eye, originally built for sale in the old Harwich Dockyard by G K Cann. In the picture are Arnold Cann, J Laws, J Reason, G K C and the manager of the Three Cups Hotel. George Cann moved to Harwich in 1866 having moved from Brightlingsea, he started his own business, building smacks and bawleys on the shingle beach off Bathside. when the Harwich docks, wharves & warehouse Company started to reclaim land from the sea by building a new sea wall in 1875 he rented a site at gas house creek from Groom and sons which he later purchased. The Cann family went onto build many famous barges along with other smaller craft. Tragedy struck on 1st June 1889, whilst unloading logs for the yard from a railway truck, the logs slipped and crushed George, he died three days later as a result of his injuries aged 51. sons John and later John’s brother Herbert joined the family business. The Canns were also keen boat sailors and in 1908 they designed and started to build for themselves a 20 foot centreboard sloop for racing and day sailing. However, she was purchased while building by a yachtsman, who raced her successfully at Harwich, Aldeburgh and elsewhere. Cann’s built a number of Bawleys including the Maud and the Irene, both built for members of the Good family, well known Harwich fishermen. Others were the Gracie, Osprey, Helen and Violet (or Ellen and Violet) and Ellen. These craft were usually planked in fir or Oregon pine, with garboards of English elm, on English oak sawn frames. John Cann’s Bawleys were shapely, with well-formed transom, rounded forefoot and splendid hull sections. His work seems to have included the largest Bawleys, about 42 feet long. 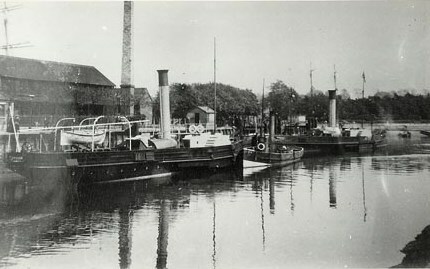 Cann’s built the 39 foot 6 inches bawley Alice Matilda as a speculation. She was sold in 1897 to the Young family of Leigh for £100, complete with all boat’s gear. The barge ” Gladys” built at Harwich 1901 by J&H Cann at their Bathside yard for William Whitmore, pictured at the entrance to Gas House creek with the old Continental pier in the background, she was sold to John Lesley Whitemore, Colne, Lancashire on 2 April 1902. On 15 August 1912, she was sold to Cranfield Brothers Ltd., with Charles Howard as the master. A diesel engine was fitted around 1950 and so she was re-registered. On 6 November 1972, she was sold to the grain importers Mardorf, Peach & Co Ltd, of Berkeley Square, London, who subsequently sold her on 4 February 1999 to her present owners. The last barge to be built was the Leofreda in 1914, though the company remained in business. in 1925 J. & H. Cann finally closed their shipyard, the site was sold to the Harwich gas & Coke Company and the equipment sold at public auction. John Cann died in 1932 leaving Herbert to run the business until he retired in 1938. 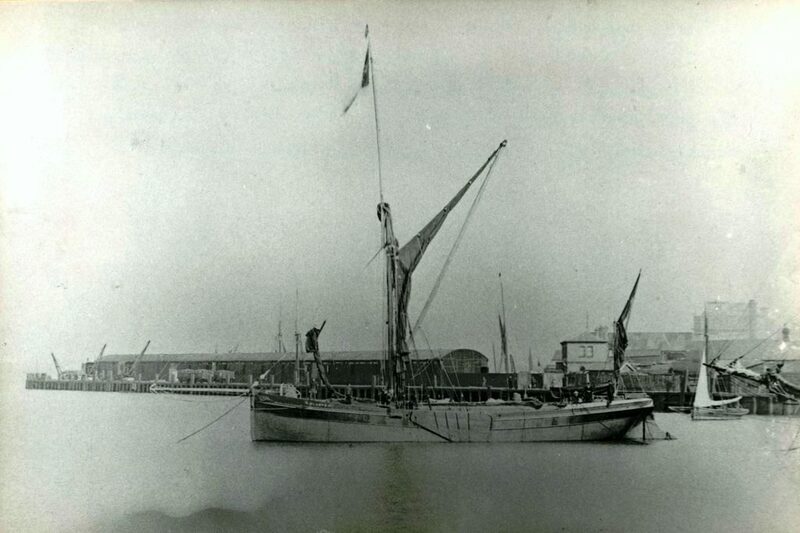 Harwich built barges were famous, and men from the Thames would admit that Cann’s were the best. Following the loss of several ships off Landguard point in 1820, associations were formed to provide lifeboats for use off Harwich. The RNLI was assured by successive inspecting coastguard officers that no lifeboat was necessary,and such was the situation until 1875, when the nation was shocked by the news of the wreck of the liner Deutschland with the loss of fifty seven lives. In 1875 a meeting was convened in Harwich after the loss of the German steamer “Deutschland” with a review to establishing a Lifeboat Station. Following a further wreck, the RNLI sent a lifeboat to Harwich without waiting for the erection of a lifeboat house. The lifeboat was called the Springwell and was a self-righting type 35ft in length, 9ft in beam and crewed by 10 men. Miss E Burmester of London donated the “Springwell” which was built by “Woolfe of Shadwell”. On 20th January 1881 the “Springwell” launched to the aid of the Dutch vessel “Ingerid”. Seven lives were saved from the wreck and the Coxswain and crew were awarded medals by the Dutch Government. Unfortunately it turned over in 1881 with the loss of one crew member. It was immediately replaced by another boat of the same name but 10ft longer. Both these early self-righter’s were looked upon with some suspicion by the crew, as they were not very stable in rough weather. 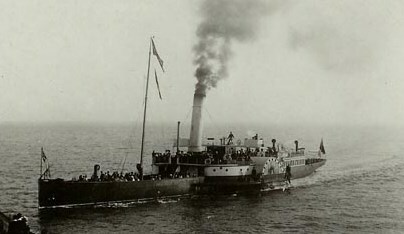 The second “Springwell” served at Harwich until 1902. Following the “Springwells” was a 43ft Watson class lifeboat called the “Ann Fawcett”. This boat stayed at Harwich until No.1 station was closed in 1912. In 1890 a second Harwich Lifeboat Station was opened. The first boat was called the “Duke of Northumberland” and was built in 1889. 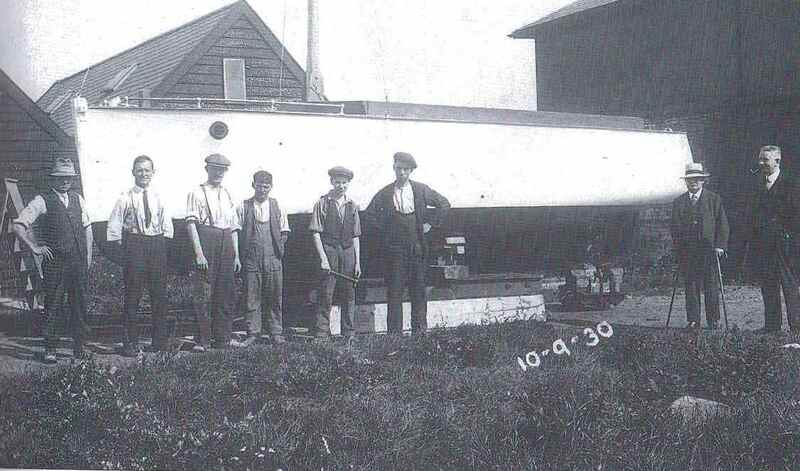 This was the first every steam 50ft lifeboat and was a revolutionarily design. Water was drawn in through the hull and forced out at great pressure through the vents in the side of the boat. During its short stay at Harwich it was moored afloat near Halfpenny Pier. This boat was transferred to Holyhead in 1892. Replacing the “Duke of Northumberland” was the new lifeboat “City of Glasgow” built to the same design but 2ft longer. It was designed by the Institution Naval Architect Mr G Watson and was built by Messrs R & H Green of Blackwall London. It was named “City of Glasgow” as the cost was funded by the Glasgow Lifeboat Saturday Fund. Presumably this was the equivalent of today’s Lifeboat Day. The “City of Glasgow” arrived on station at Harwich on the 7th November 1894. The coxswain was instructed that exercises would be quarterly in accordance with the Institution policy, but the Chief Engineer was to raise steam and work the engines for four hours once a month. The “City of Glasgow” remained at Harwich until 1901 when it was sold out of service. The RNLI replaced this lifeboat with another boat with the same name. “City of Glasgow” was 55ft long and was also steam driven. On 7th April 1908, his lifeboat went to the assistance of the schooner “Notre Dame des Toutes Aides” and in recognition of this rescue 11 medals were bestowed on the Coxswain and crew by the “Hospitaliers Sauveteurs Bretons”. With the increase in sailing boats in the River Stour and River Orwell, the RNLI re-opened the Harwich Lifeboat Station in 1965. A 16ft inshore rescue boat was placed on Station, which was partly funded from a local fund. In 1966 the RNLI Committee of Management reviewed the East Coast lifeboat require­ment and decided to place a 44ft Waveney class lifeboat at Harwich for a two year trial period. The inshore lifeboat also remained to cover the estuary. In September 1967 the Waveney class lifeboat built by Brooke Marine of Lowestoft took up station at Harwich. The naming ceremony and service of dedication was held on September 27th at Trinity Pier, Harwich. The Lifeboat 44-005 was named Margaret Graham and was the gift from an anonymous donor to record the friendship of William H Cavanaugh, Hazel M Dugan, Theodore and Margaret N Harley with the donor. Due to the excellent work of the 16ft inshore lifeboat the RNLI decided to replace this craft with a fast 21ft boat of the Atlantic class. On the 27th May 1978 this Lifeboat was dedicated and handed over to the care of the Harwich Station by Lady Norton MBE, a member of the RNLI Committee of Management. This boat was a gift from a donor who wished to be known as an Essex lady. This Atlantic 21 had no name and was referred to by its boat number B526, had previously been in the RNLI relief fleet and used at other Stations. 1980 saw the replacement of the Margaret Graham by a similar class lifeboat. On 26th July the lifeboat was dedicated and named John Fison. The new boat was named by Mrs D E Fison in memory of her late husband John. In addition to monies donated by the Fison family other donations and trusts contributed to the total cost. Harwich is now the operational centre of Trinity House, and is the largest of the five Trinity House Depots in England and Wales. 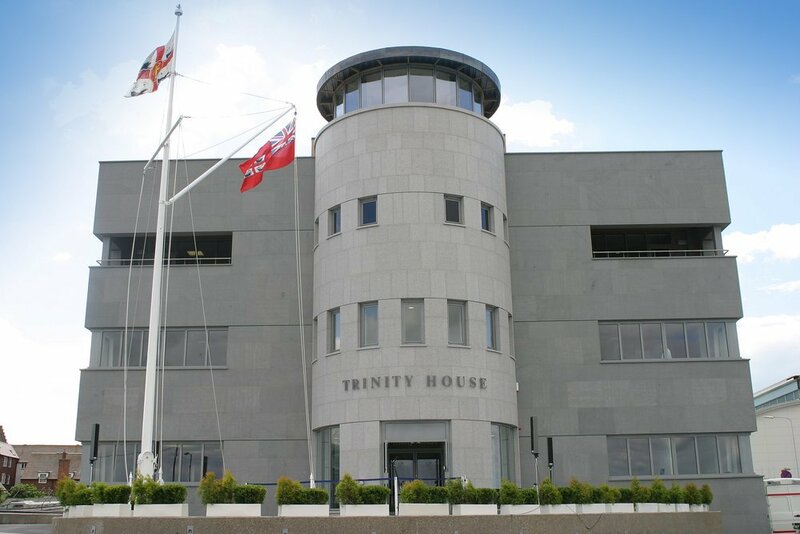 The Corporation of Trinity House is the General Lighthouse Authority for England, Wales and the Channel Islands, and is responsible for providing aids to general navigation such as lighthouses, light vessels, buoys and beacons. The lighthouse powers of Trinity House are derived principally from the Merchant Shipping Act of 1894. Since then, Trinity House has purchased more properties in Harwich, including a former slaughter house and also dwellings formerly used to accommodate lighthouse keepers. 1924. A brand new tender also named Satellite, replaced the old 1886 Satellite. by 1932 Harwich had grown in stature and was officially established as a trinity house depot. a third tender joined the Harwich fleet; Patricia had been built as Lord Leith’s private steam yacht, Miranda. Lord Leith lent his yacht to the admiralty in 1915 for use as a patrol vessel and in 1919 Trinity house purchased her and converted the vessel into a tender. During 1934 Trinity house ordered their first motor tenders. 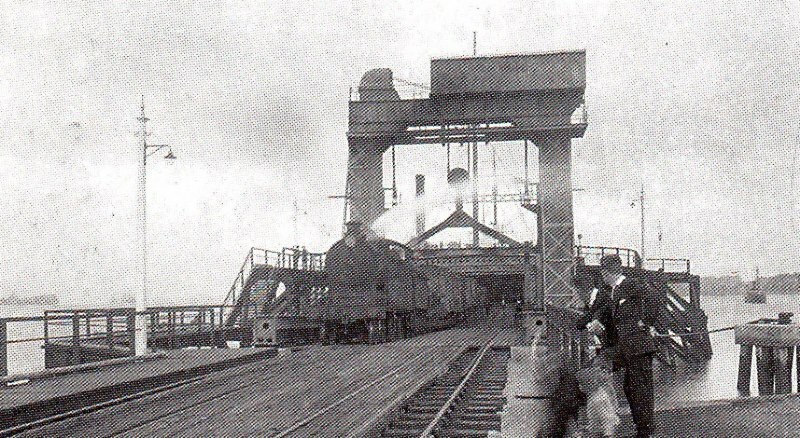 the first of three sisters to be delivered was Reculver in February 1935 for the Great Yarmouth station whilst the second, Strathearn, arrived at Harwich to replace Satellite. 5th February 1938 was a landmark day from Trinity house, the new flagship Patricia arriveds at Harwich. built in Middleborough and was the first diesel electric propelled tender. at 1,124 tons Gross and 232 feet long “Patricia” was now the largest vessel in the fleet. 1946 Trinity house purchases H.M.S. Bullseye, she was converted into a tender and renamed Alert, at 2, 2223 tons this was trinity house’s largest vessel until the arrival in 1982 of the new Patricia. October 1947 Ready arrives at Harwich the second of three sisters. 14 June 1951 Captain Gerald Curteis laid the foundation stone for new offices and a control room. further expansion took place four years later when a new workshop and buoy yard was built between Church Street and West Street. 1958 Trinity house orders new motor tenders, Siren February , 1960 replacing Triton which had been laid up for three years before being towed for breaking in Belgium. In June 1976, Prince Philip officially opened the new £280,000 pilot station on the former Quay pavilion site. today the building is known as Harbour House and is the headquarters for the Harwich Haven authority. May 1982 the 2,639 gross tons New Patricia arrives at Harwich Harbour, the old Patricia was sold to a German company but today is a floating restaurant in Sweden. Mermaid withdrawn in 1986, followed by Siren the following year. Trinity House operates three vessels around the coast of England, Wales and the Channel Islands. 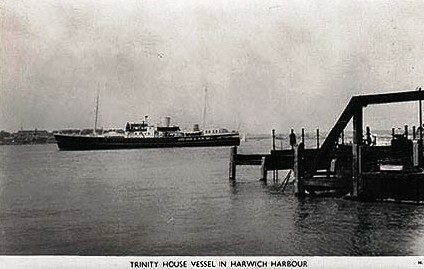 Current Trinity House vessels at Harwich. THV Patricia (1982) is one of two Lighthouse Tenders currently operated by Trinity House . She was built by Robb Caledon in Leith in 1982. Patricia is 284 feet long and 2541 gross tons – the largest lighthouse tender that Trinity House had ever owned. She carries a crew of 23. Patricia (3) replaced the Patricia (2) as the Trinity House “yacht”, and led the Royal Yacht Britannia at the D-Day 50th Anniversary Fleet Review in 1994. Patricia is also fitted with the additional accommodation for inspecting committees etc. On Tuesday 11 October 2005, the new Trinity House Rapid Intervention Vessel (RIV) Alert was launched at the Stocznia Remontowa SA shipbuilders yard in Gdansk, Poland. She arrived in Harwich in April 2006. Alert is a coastal working vessel and will, in addition to maintaining aids to navigation, provide a fast response to incidents and carry out emergency wreck marking and hydrographic survey services. The ceremonial cutting of the steel to begin the construction of the new 84m Trinity House Multi-Function Tender (MFT) THV Galatea occurred at the Stocznia Remontowa SA shipbuilders yard in Gdansk, Poland, on Tuesday 11 October 2005. The Galatea arrived in Harwich from Poland on 23rd July 2007. She has an overall length of 84.20 metres and breadth of 16.50 metres. At 11.00 on 24th April 1924 a special train arrived at Harwich town station with Prince George and later The Duke of Kent. crowds gathered along with school parties and the Harwich Town Silver Band Played. After the official opening ceremony Captain Grigor gave the party a guided tour of the new ferry before setting sail on the inaugural voyage. Over the years Harwich has seen many Train Ferries come and go sadly cost cutting feasibility studies were considered, theese included basing all train ferry traffic through one English port. Sadly on geographical grounds Harwich did not stand a chance of winning the competition. On 11th may 1987 the luxury ferry Earl William arrived at the train ferry terminal .The vessel had been chartered by the home office as a temporary accommodation for asylum seekers to alleviate overcrowding at other centres. There was opposition to this project, from people living outside of the town, some part time residents and the regular group of local protesters. On the night of October 16/17th 1987, Britain was hit by a hurricane, and Earl William broke her 22 mooring ropes and ran ashore. 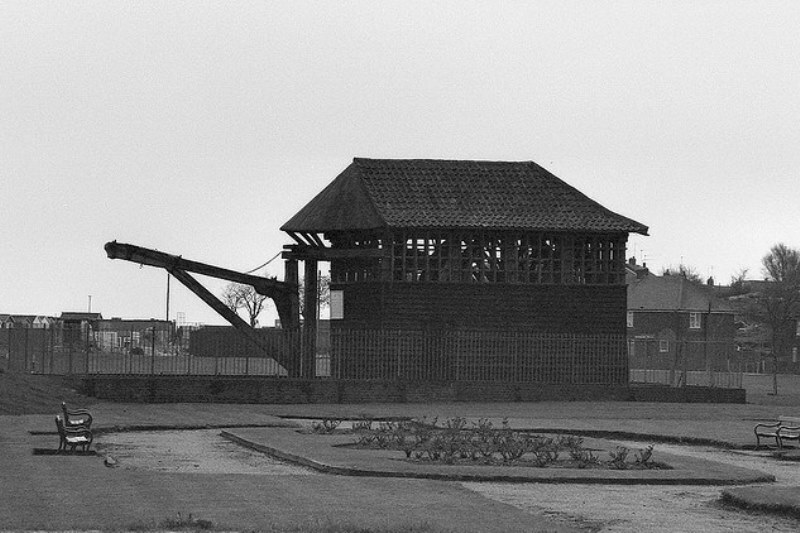 The detainees were removed and housed elsewhere, whilst Earl William was repaired for a return to service. The home office charter was terminated in November 1987. Harwich Quay is a great observation point for visitors to obtain a close-up view of the many vessels moving in and through the estuary. These vessels range in size from canoes and yachts to the vast container ships, which can be seen using the port of Felixstowe on the opposite side of the harbour. Harwich is thronged with people content to enjoy the changing scene in the harbour or to wander through the narrow streets. Few places can excel Harwich Quay, looking across the broad waters of the Stour on long summer evenings, in evoking that rather sweet melancholy peculiar to those evenings. It is often said that Harwich is a place which grows on you, and many have found this to be true. Some of the information is taken from the books of Phil Cowley, Harwich and Dovercourt in Old Picture Postcards. Thanks to The Harwich Society and Simplon Postcards and all those who have contributed to this project.